The introduction of Solvency II has created the opportunity for life companies considering how to structure their unit-linked matching processes in order to reduce exposure to market risks and maximise capital efficiency. We will discuss how a unit linked matching approach can give capital efficiencies - a unit-matching process must both control short positions in units and quantify the financial impacts. But without proper systems and controls, it can introduce other risks including additional operational risks – the capital efficiencies to be achieved from applying unit linked matching require an investment in appropriate systems and controls to use unit matching systems like InvestPro™ specifically designed for the Solvency II world. 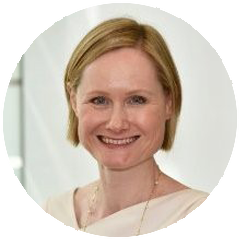 Naomi is a life insurance actuary with more than 20 years experience in the UK and internationally. Naomi presented on this topic at the 2015 Life Convention. In addition to the experience presented there, she has subsequently worked on a number of unit linked matching programmes, from concept to implementation. She has been fortunate to see both the detail of the implementation challenges and as well as the strategic decisions made in the context of wider capital optimisation programmes. 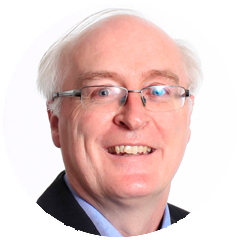 George is a graduate of University College Dublin in Mathematical Science and is a Fellow of the Institute of Actuaries. He is a director and co-founder of Financial Risk Solutions (FRS). He has presented a number of papers at the Life Convention of the Institute of Actuaries and has co-authored a number of papers for the Society of Actuaries in Ireland. He is a regular speaker at Life insurance events.